Infinity Blade takes coin-op arcade multi-touch gaming to new heights with gorgeous visuals, adrenaline-fuelled battles and advanced character progression in a fully 3D castle realm. 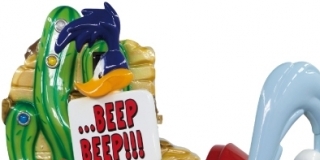 The popular Looney Tunes cartoon Road Runner Wile E. Coyote is the theme for two new rides titled Rocket Runner and Canyon Escape. 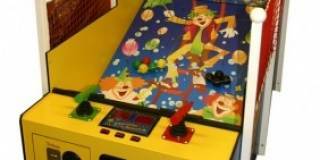 Chameleon Paradize is a fun single or two-player interactive kiddie game from Bay Tek Games. 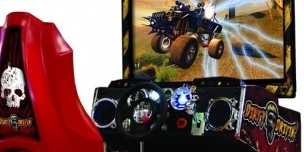 This is the latest driver from Raw Thrills. 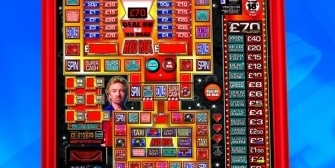 Red Hot Deal or No Deal is the latest UK Category C product from Bell-Fruit Games.